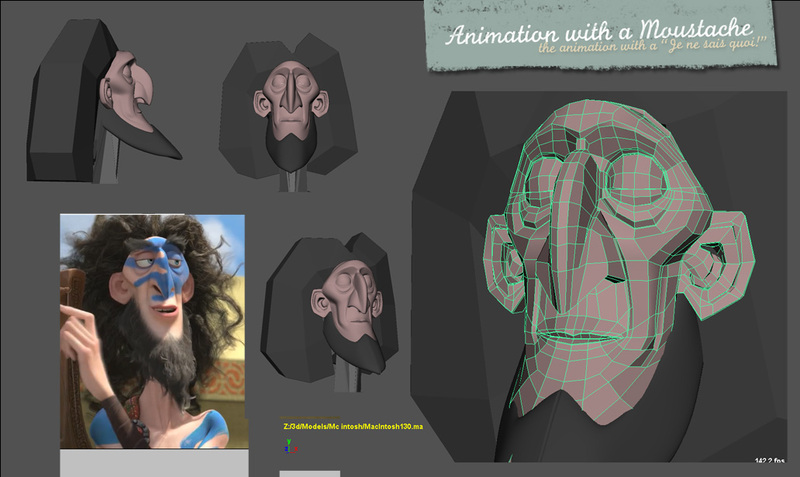 I had already modeled Brave’s Lord Macintosh last year but working from a single concept art proved to be really tricky and I completely missed his nose and chin. Now that the movie is out and many trailers are available, I felt it was time to correct few things. As you can see, I still wasn’t able to tackle the hair and didn’t want to use the old school textured cards. Most Maya based Animated Feature studios probably use Joe Alter’s Shave and Haircut plugin nowadays and I ordered a trial license to give it a go but I still haven’t received it so … proxy hair will do for now. Here are some screenshots and wireframes for you. If you know a ‘Shave and haircut’ expert willing to help me learn the software, please let me know. Cheers! Summer is gone, time for a Box office grosses update with a lot of surprises. I decided to add the domestic grosses as those numbers could be particularly useful to understand the trend. at M $337, one of the surprises was the really low score made by Lorax despite a record opening week-end in the US that pretty much covered their budget. With a 3+ month gap between the US release and the rest of the world, I wouldn’t be surprised if piracy has had a significant impact but we should also remember that Dr Seuss’s books are completely unknown outside the USA. Some people also got put off by the fact the movie was peppered with several musical sequences. I think Madagascar 2 is superior than Madagascar 3 but the sequel was extremely well received by the public this summer. Proof that animators are not the best judges to what will sell? I was also surprised to see that Ice Age 4 still does very well with the public, especially on the foreign market. As a matter of fact, Ice Age 4 made more money than what Lorax and ….. Brave together. Pixar’s Brave is still showing across the world (I saw it this afternoon one more time) but the movie is really far from the score achieved by Toy Story 3. At M $500, Brave has made slightly more than Toy Story 2 and a little bit less than Wall-E. Who would have thought? Here is the latest chart and I am attaching a pdf file with the complete chart starting in 2008 with hyperlinks to the related Boxofficemojo pages. I just saw an article on Animation Magazine announcing Dreamworks’ 12 next pictures. With 3 to 4 movies released per year, Dreamworks will certainly become the busiest studio in the next few years offering a hell of opportunity for animators and artists. Great 58 mins interview with Brave’s Director Mark Andrews at the Google campus. Not your average, “how difficult was it to make Merida’s hair?” kind of questions fortunately. There was also a tricky question at the very end regarding the Japanese trailer and I let you find out how he got out of it.